Norman R. (“Rocky”) Farr, CFP®, EA, ATA | Diesslin Group, Inc.
Norman R. (“Rocky”) Farr, CFP®, EA, ATA, is DG’s Vice President and a principal of the firm. Rocky coordinates all aspects of the financial planning process for individuals and closely-held businesses, including income tax planning, cash flow management, fringe benefit planning, risk management, and estate planning. 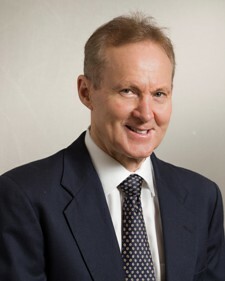 Rock has held his CERTIFIED FINANCIAL PLANNERTM designation since 1982. He also holds an Enrolled Agent license from the Internal Revenue Service and an Accredited Tax Advisor license from the Council for Accounting and Taxation. Rocky joined DG in 1992. Prior to moving to Texas, he played hockey professionally.